Illy Fine Grind Dark Roasted Coffee, 8.8 Ounce -- 6 per case. Dark Roast for a stronger, more robust flavor. COFFEE,GRND,FINE,DK ROAST. Dark Ground Espresso. Arabica Whole Bean Coffee. Perfect choice for coffee lovers. After several months of research, our technical team has solved this dificult technical problem, no matter what size of the coffee grinds you put, it can make a cup of real ESPRESSO COFFEE WITH CREMA. Richly aromatic with a well-defined body, illy Ground Moka Coffee for stovetop preparation is an easy-to-prepare morning ritual in most Italian households. A lot of hands help to make illy coffee - so illy is committed to giving back to every single one; creating a cycle of quality and consciousness for all. Coffee Type: Whole Bean Decaffeinated, Size: 250 grams (8.8 oz) can. 1 of 8.8oz Whole Bean Decaffeinated can. Size:8.8 Oz. Give us a shot and we will make sure that you will look to us again! You're already purchasing the item. By purchasing an item from us, you are agreeing to the information provided below. Typically we have one hit wonders and the product listed is the actual product you will receive. A lot of hands help to make illy coffee - so illy is committed to giving back to every single one; creating a cycle of quality and consciousness for all. illy ground espresso coffee is finely ground to provide optimal extraction with espresso machines that accept ground, tamped coffee. Illy coffee Variety Pack 12 Capsules pods. Condition is New. Shipped with USPS Priority Mail. You will receive 1 case of 6- 8.8 ounce decaf containers. I opened the case to show you one of the individual cans. 1 x Stainless Steel Nespresso Pod 1 Spoon 1 Brush 1 Coffee Tamper. Capacity: 5g Coffee Powder. Material: Stainless Steel.Good for your health. NOTE:NOT Fit for Dolce Gusto. (H): approx. 3.7 3.5cm/1.46 1.38in. Spoon Size(L W): 9.8 2.7cm/3.86 1.06in. Material: 304 Stainless Steel PP. Savor illy's legendary single blend of the finest Arabica coffee, perfected for espresso and now available in K-cup Pods. Enjoy illy's distinctively smooth, rich and full bodied taste with the convenience of single serve coffee and the quality you expect from illy. illy Intenso Ground Espresso, Dark Roast, 100% Arabica Coffee Blend, 8.8oz Can. 5 out of 5 stars - illy Intenso Ground Espresso, Dark Roast, 100% Arabica Coffee Blend, 8.8oz Can. 6 product ratings6 product ratings - illy Intenso Ground Espresso, Dark Roast, 100% Arabica Coffee Blend, 8.8oz Can. 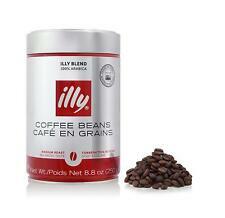 ILLY WHOLE BEAN COFFEE MEDIUM ROAST COFFEE CASE OF 5. Condition is New. Shipped with USPS Priority Mail Medium Flat Rate Box. Trending at $55.24eBay determines this price through a machine learned model of the product's sale prices within the last 90 days. New 2 tins included 8.8 oz each. Can is under pressure, illy cans are labeled with a protective seal strip on the opening nut. 1 DRUM ILLY screw on lid, ESPRESSO WHOLE BEANS. illy has changed there Tin Style and Print. Dark Roast (ICS) Intenso Drk Red Stripe. Lot Of 2 New Factory Sealed illy Whole Bean Dark Roast Coffee, 8.8 oz Tin Each, Exp. 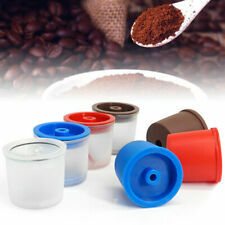 Also suitable for all coffee preparations. We can even quote you by the pallet!